In today’s global marketplace, supply chains are becoming increasingly complex. Recognising the growing need for centralised control, planning and execution of supply chain activities across all supply chain partners, Imperial Logistics has launched a working group focused on exploring, understanding and advancing the use of supply chain control towers. 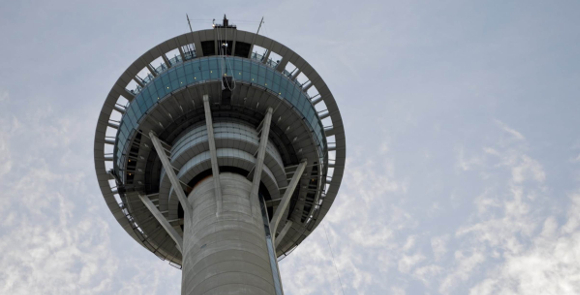 “These control towers were a theoretical dream in the industry for many years, but are now a reality with the advancement of cloud-based, real-time technology to support the concept. The supply chain control tower is built on the foundations of end-to-end visibility, process orchestration and deep analytical capability, and is geared towards making the supply chain better for the benefit of all,” explains Imperial Logistics chief strategy officer Cobus Rossouw. While Imperial Logistics is already leading the industry in leveraging the technology to drive clients’ competitiveness, Rossouw says that the group has identified the need for a more formalised understanding of the requirements, potential opportunities and solution options for supply chain control towers. “The working group that has been established aims to ensure a shared understanding of supply chain control towers and to explore potential business opportunities, specifically where current client relationships can be enhanced,” he reveals. In addition, the working group will articulate and document an implementation roadmap for Imperial Logistics’ supply chain control towers, he says. The supply chain control towers working group consists of 20 participants from seven different countries, representing 12 Imperial Logistics operations. “We are drawing on the experience and expertise of individuals and businesses located in Germany, the Netherlands, Poland, Nigeria, Mozambique and South Africa,” Rossouw states. The working group’s first workshop took the form of a video conference this month (October), with participants joining from seven locations in five countries. “We expect this exciting international initiative to yield big benefits for Imperial Logistics and our clients. By enabling the seamless integration of planning with real-time execution of logistics activities, supply chain control towers offer enormous opportunities for continuous improvement in logistics operations, as well as cost savings and enhanced service levels,” he concludes.